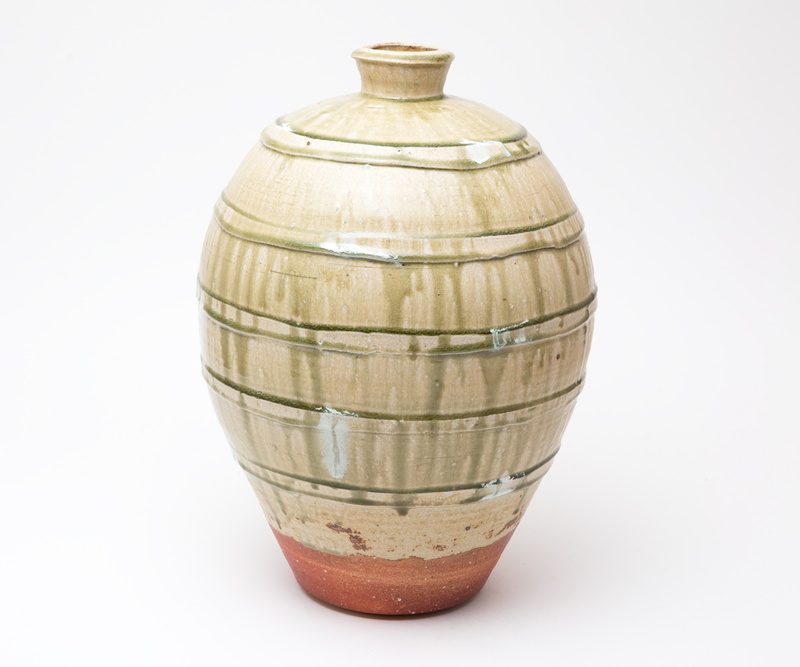 March 25th of this year saw the opening of our fourth exhibition of ceramics by top British maker Phil Rogers who is approaching his fortieth year as a working potter. Accompanying his magnificent show of pots was one of our beautifully produced monographs, with an interview between Discover writer Max and Rogers himself, discussing recent developments in the studio, the role of the potter in today’s society, and the future of ceramics. Next year will be your fortieth as a working potter. Do you feel your approach to clay has changed since you first started? Occasionally, I am confronted with a pot that I made in the very early part of my career. What strikes me with these discoveries is that the essence of the work has remained consistent throughout the years; the change has been that the pots have got better (I hope!). It is hard to define what ‘better’ means; to many of their owners, these early pieces are still attractive. For me, it is to know that improvement has taken place: in form, decoration, orchestration, and finish. All these things are very much dependent on experience; not just the experience of a long career and in making many, many pots, though that is probably the most important element. It is about what one experiences as one travels, seeing pots in different settings, from different cultures and ages, and handling works by other makers whom one meets and interacts with. One has to be open and receptive. 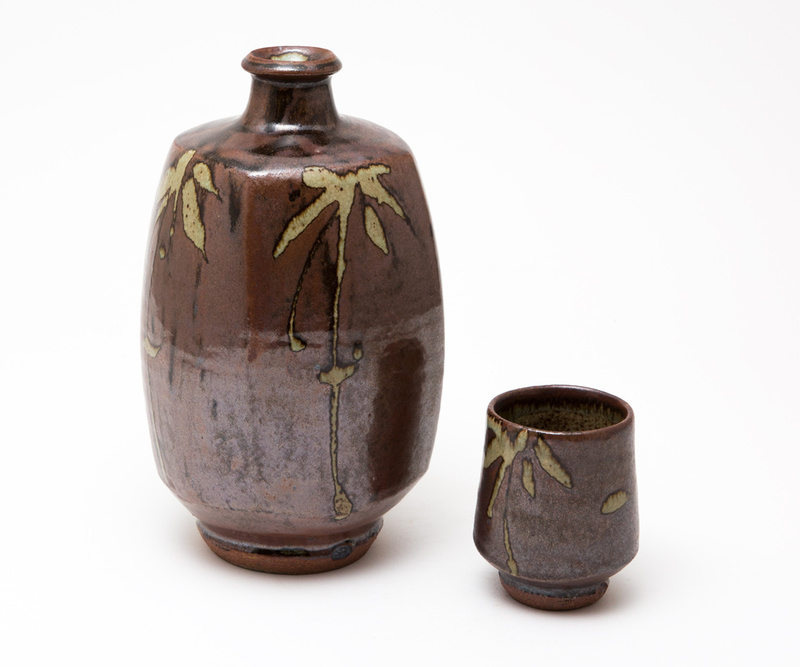 Making pots over a long career is ultimately about refinement, a never-ending quest to improve. The cliché is that ‘the next firing will be my best’; but it is true that this is every potter’s hope. This will be your fourth show at the Goldmark Gallery. 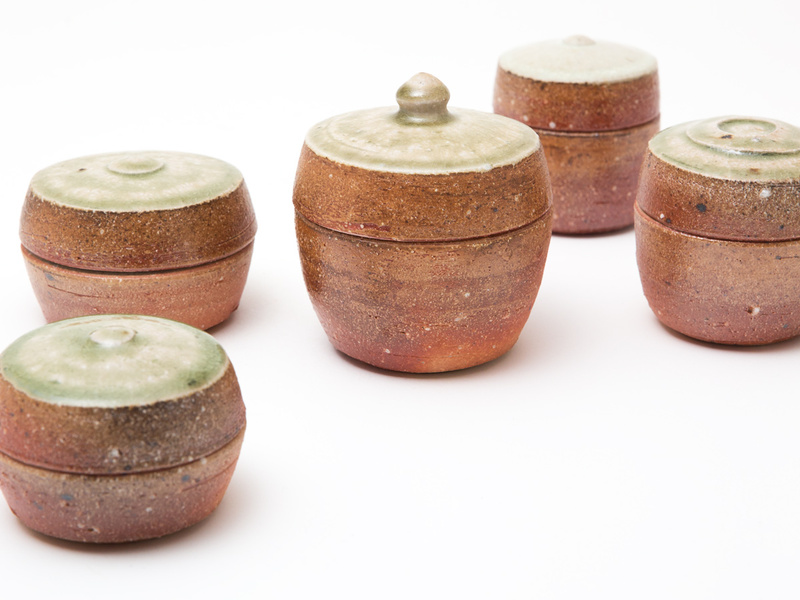 Are you conscious as you work of making pots specifically for exhibition, or is it simply a case of choosing the best? It’s a little bit of both. I have been putting pots aside for this show for eighteen months but, as I continue to make, I have images in my mind about how they can be displayed. That sense of unity and the arrangement of pots in a show is something of which I am very mindful. So, as I throw I try to create groups that will sit happily next to each other as cousins. It has always been my thinking that an exhibition should not only be the best work available but also, in the main, the most recent. Hopefully those two things go hand in hand. My wood kiln is fired only three times in a two-year period and the oil kiln maybe three times a year, so to me a period of eighteen months is recent. Nonetheless, as with most potters I am sure I will be firing right up to the last minute in an effort to find those elusive exhibition pieces. Is there anything new that you wanted to showcase or trial in this exhibition? I have been working at creating a form of Buncheong for about three years now. 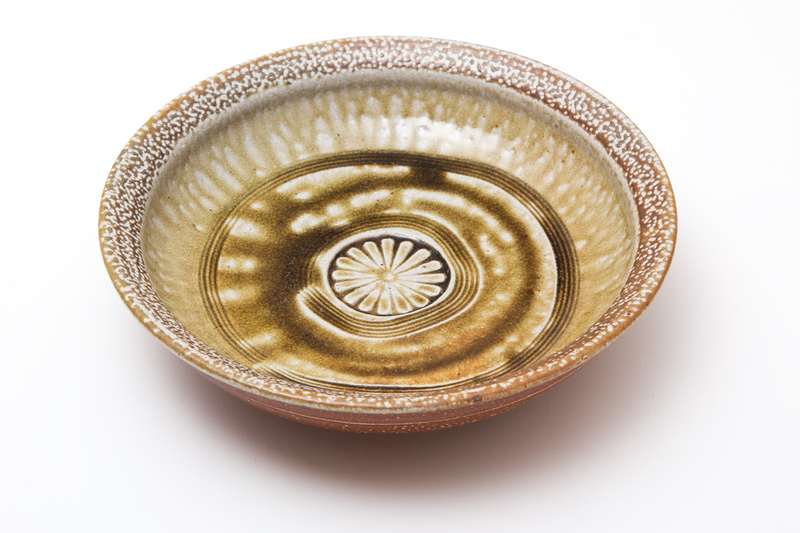 Buncheong is a type of traditional Korean pottery that existed in its original form throughout the 15th and 16th centuries. 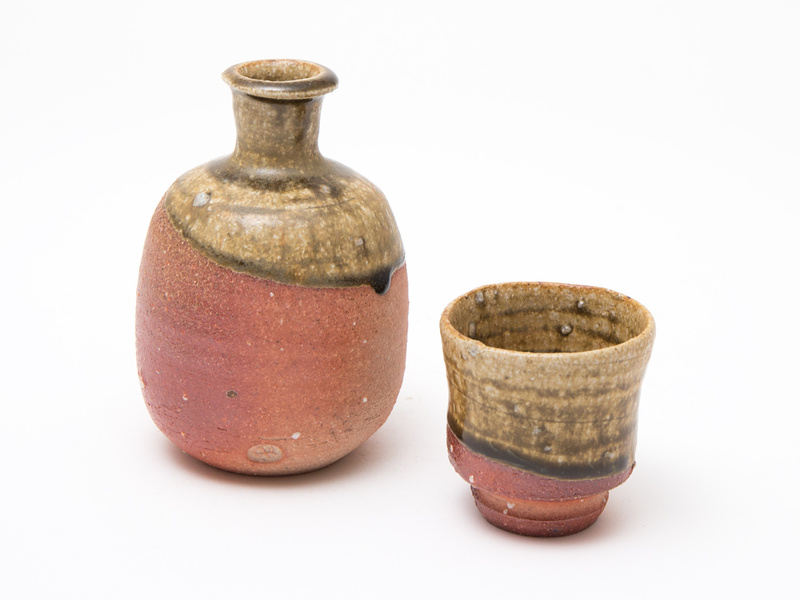 It relies upon just three elements: a dark, iron-rich clay; white slip; and a clear, sometimes greenish or grey glaze. Often this slip was swept on the pot with a coarse brush, a technique the Koreans termed Guiyal and which the Japanese came to call Hakeme. Decoration was made by drawing through the slip to reveal the clay body underneath, or by inlaying into stamped and incised patterns. Iron pigment was also used on top of the glaze to draw stylised birds, animals, and plants, often in a ‘naïve’ or ‘childlike’ manner. When a kiln is only fired perhaps once a year, development is slow. I have been at pains to find my own vocabulary with the brush, and although they are quite different from the fluid ash glazes and the ‘in the clay’ decoration I am normally associated with, these new pots I think capture that same unifying spirit of form and touch. I am open to future refinements, but the Buncheong pieces that I have chosen for this show represent the most successful iteration of this new way of making. 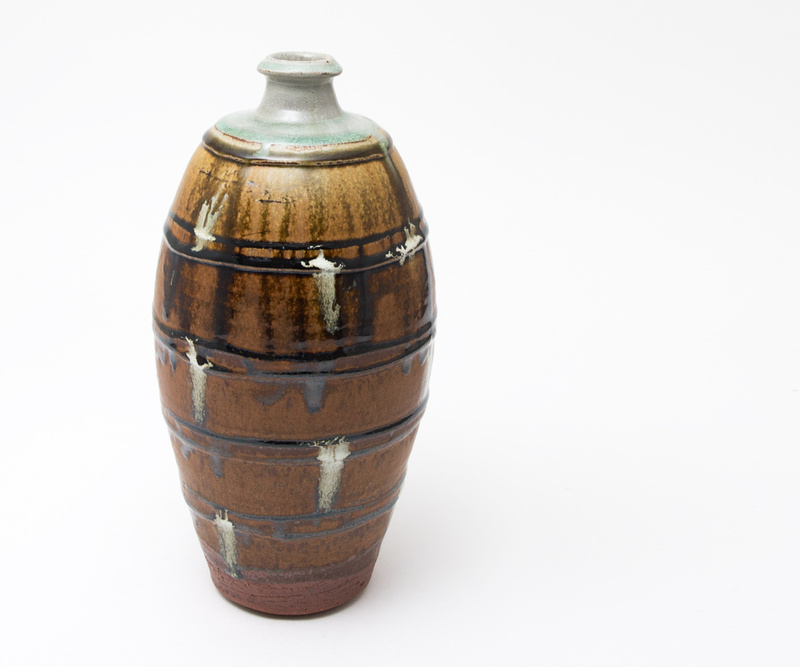 You have always looked to a broad range of influences, be it the way of working embodied by Hamada, Leach and Cardew or further back to pottery made in Medieval Britain, Germany, Korea, and Japan. Do you ever find yourself seeking out more current sources of inspiration? I feel, justifiably, that I am largely self-taught. Many of the pieces from the potters and periods you mention were my absentee tutors and I learned a great deal from looking at, handling, and soaking up the essence of their work. I still look at the same pots I always looked at, and I regularly go back to them for reassurance on a barren day. When I was at Newport College of Art, I was taught to work in a developmental way, that we don’t just paint one picture or make one pot: there should be an ongoing series of ideas that start from the same root but which can lead almost anywhere through succession. 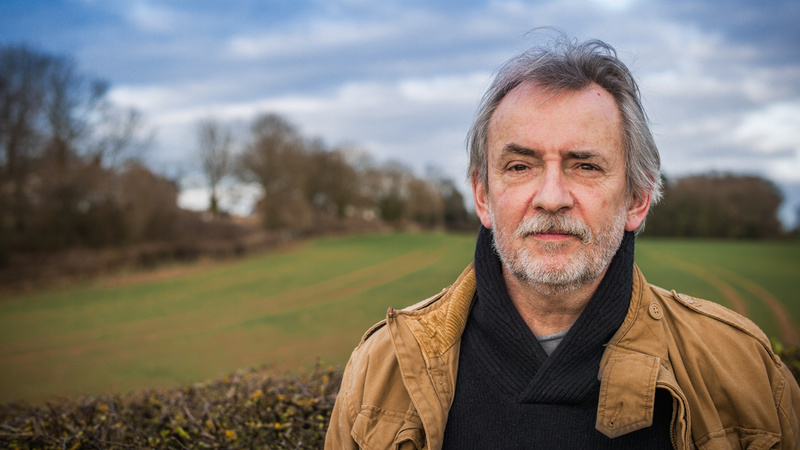 I think that any creative artist will, or should, reach a plateau in their career when influences have had their effect and a kind of overdrive kicks in where one is propelled from one creative idea to the next. At this point an individual style is already present, and one is able to work in a prescribed and considered manner, producing pots imbued with a personal hallmark. You’ve spoken before of how people today have no need for functional pots; you’ve also written on the need for a ‘sense of adventure’ in modern pottery. What do you think is the role of the potter in contemporary society? I think I coined the expression ‘a sense of adventure’ when writing about Lisa Hammond, and I stand by what I said. The role of the potter today is not what it was 100 years ago. Cheaply produced metal and plastic have superseded the ‘country potter’ making inexpensive utilitarian wares. The advent of the ‘studio potter’ meant that we potters had a new role. Our pots are seen as an artistic expression and in our work we answer many of the same questions that a sculptor or painter asks themselves: questions about line, form, composition, light, shade, balance, and so on. Our work is no longer exclusively concerned with ‘use’. 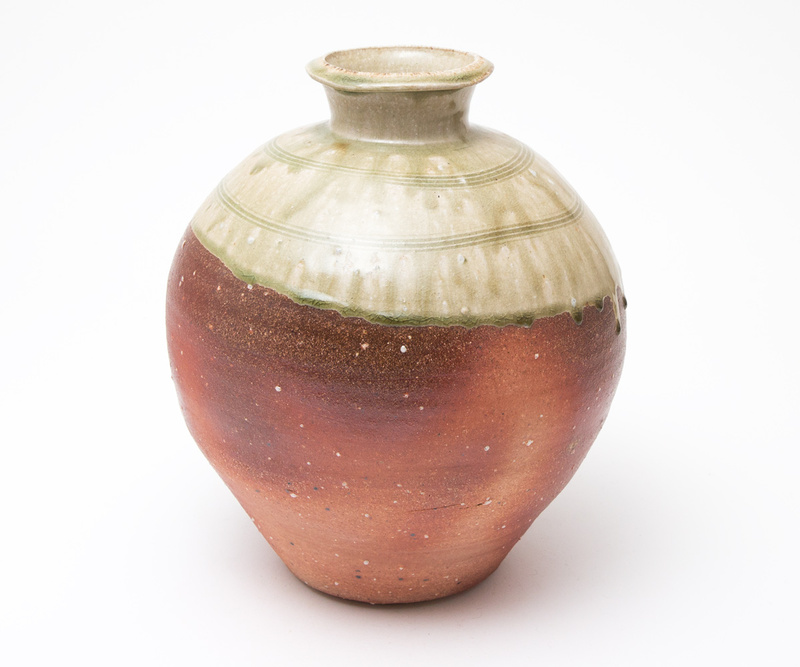 Pots, while possessing a practical function, can also have a contemplative role in the same way that a painting or a sculpture can grace an environment and command the space around it. Sometimes it’s not about utility at all. Whatever we do make, I think that there has to be this ‘sense of adventure’ in the work. I want people looking at my pots to be able to see that I have somehow pushed my own boundaries a little, tried to expand the repertoire and succeeded by risking failure. What is the role of the potter today? I think that our pots must have a personal signature. 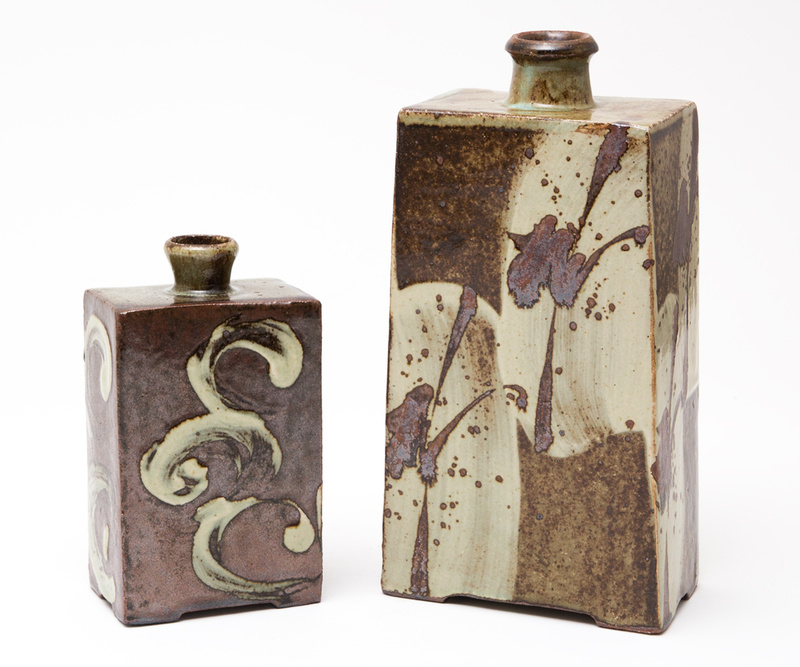 We are not the anonymous craftspeople that Yanagi or William Morris espoused: Hamada recognised this, and fully embraced the status of ‘artist potter’. We are making pots for a sophisticated clientele who want, in the pieces they buy, something more than a purely functional utensil. I think we must inject our work with a spirit of artistic endeavour that elevates the pot and places it alongside the best of two and three-dimensional ‘fine art’. 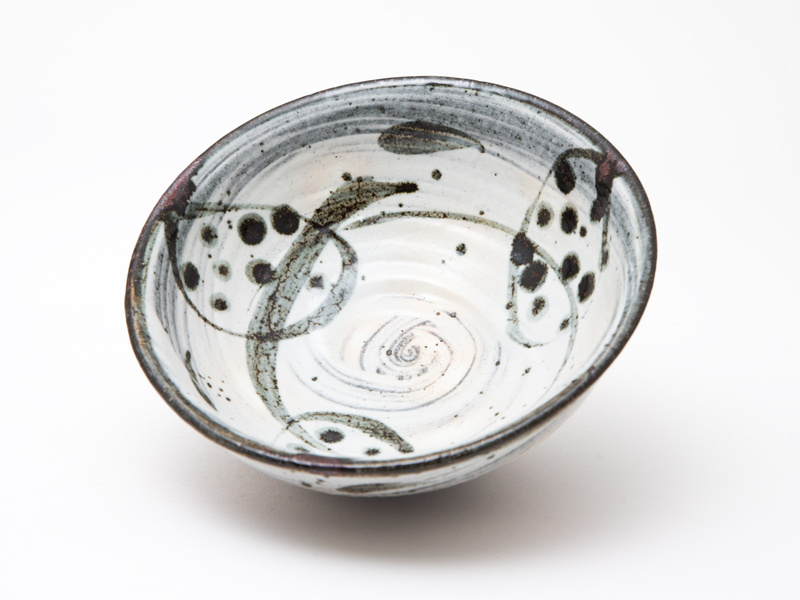 The Goldmark Gallery has contributed hugely to this end and continues to promote the very best of pottery as equal to any other art form. 2016 has been an uncertain year for most of us, and 2017 seems likely to bring more of the same. 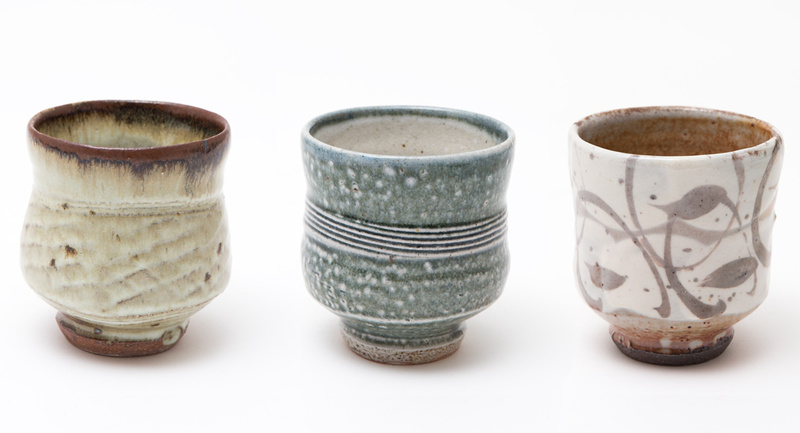 What do you hope for your future as a potter, and for the future of ceramics? 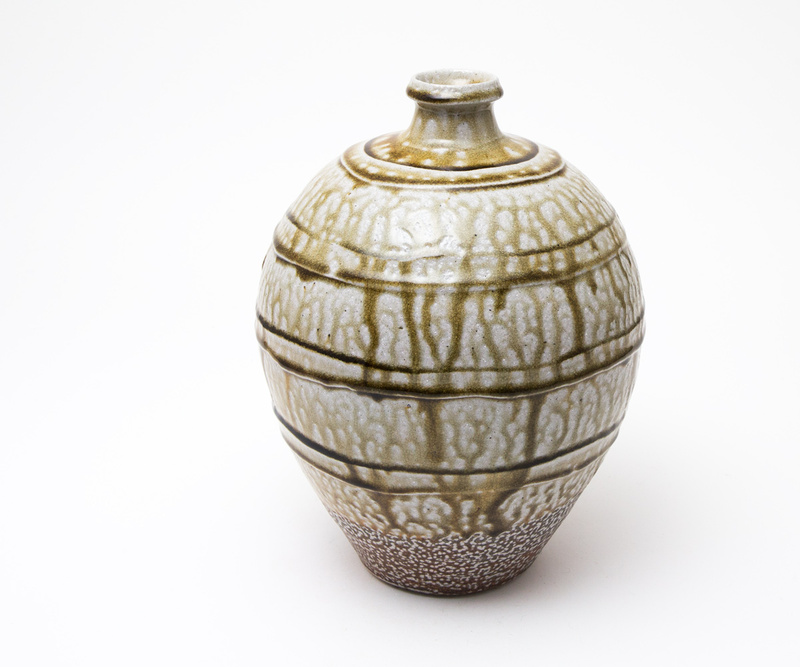 Ceramics is in a strong place: there has never been so much interest. The high level of sales at the Goldmark Gallery is proof of that. I have spent quite a lot of time in the USA over the years and there I see a very vibrant ceramic education system where many of the leading artists and potters are also professors. Unlike many of our own colleges, they manage to maintain both spheres of their creative lives. For myself, I hope to go on doing what I do. I feel, however, that I may be coming toward the end of the wood firing aspect of my work. The wood kiln and its vagaries have taken up a lot of my time and energy. The amount of hard labour involved is daunting, from cutting the wood (I have just sawn and stacked 6 tons of logs; I have another 17 tons waiting) to the loading and then the long hours of stoking and supervision. Wood firing is a hard task master, and though there is no other way of firing that can give you its breath-taking colours and surfaces, a wood kiln can also kick you in the teeth, often for no apparent reason other than a streak of malevolence. I have had it both ways and have, on occasion, smashed as many pots as I have kept. 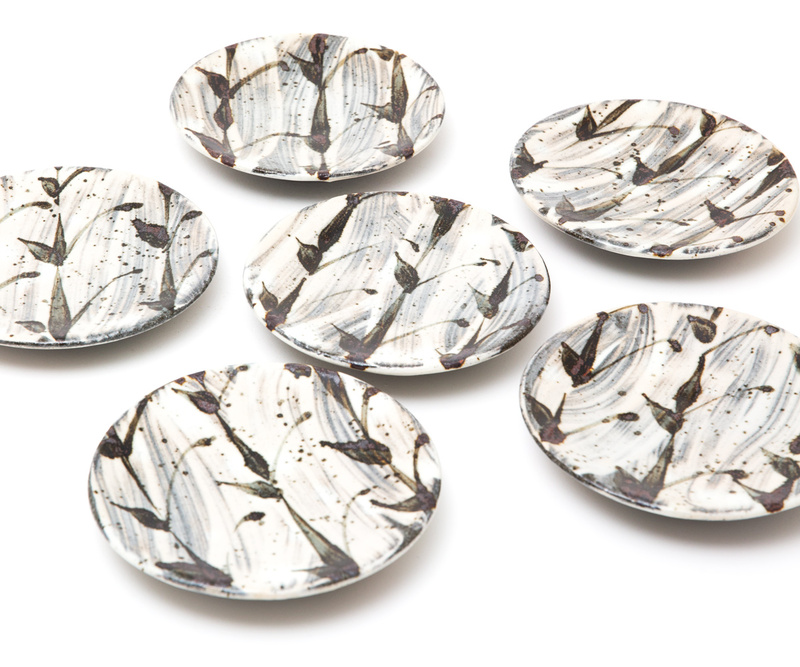 In truth, I still love what can be done with a limited number of materials, some locally won, in a reduction kiln. Recently I have got back into testing glazes again after neglecting this area for a few years, relying on a library of around ten that I know will work. Wood ash has always held a fascination for me and I want to return to more experimentation. The latest delivery of wood for the kiln may well be the last: 23 tons is enough for five firings over at least two years. So, whilst the end of this chapter may be in sight, it won’t be for a while.